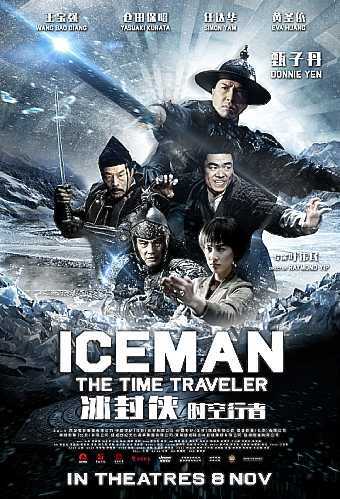 Four years after the laughably absurd ‘Iceman’, the concluding chapter of what was intended as a two-part movie saga is finally seeing the light of day, although judging by what we’ve seen, it would probably have been better for everyone involved for the sequel to have stayed on ice. Oh yes, despite keeping our expectations firmly in check, we were still left utterly astounded by how abysmally bad ‘Iceman: The Time Traveller” is. There is the barest semblance of a story, hardly any continuity or logic to the chain of events, and just about the worst acting we’ve seen of an ensemble in recent time. 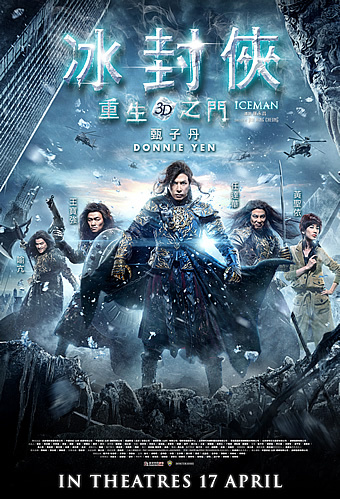 No one – not even Donnie Yen, who has publicly distanced himself from the release of this movie – can and should be excused from this utter embarrassment, which has been deservedly dealt an ignominious box-office reception back home in China. Right from the very lengthy narration by Yen’s noble Ming dynasty general He Ying, you’d already get the sense that something is off. 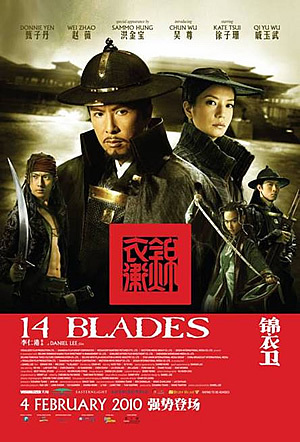 Some philosophical mumbo-jumbo about time, space and fate precedes what is essentially an extended recap of the first movie, in which He Ying had awoken in present-day Hong Kong and found himself pursued by three of his fellow blood brothers Cheung/ Yuanlong (Simon Yam), Niehu (Yu Kang) and Sao (Wang Baoqiang), culminating in what was an epic fight on the Tsing Ma bridge. 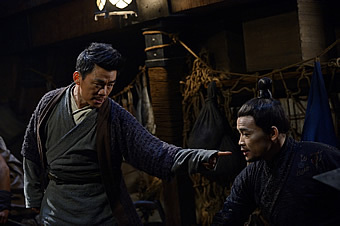 To no one’s surprise, He Ying survives the fall off the bridge, and is freed from the morgue by Cheung, who also breaks Niehu out of police custody. 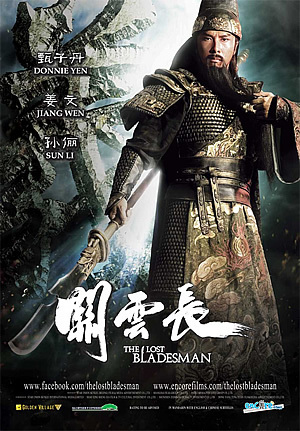 The trio then journey to Beijing, where they make an unnecessary pitstop at the Forbidden City before landing up in a cave where the time-traveling orb they seek has been buried. By that point, it should be manifestly clear that there are plenty of gaps in continuity, probably arising from a combination of the producers deciding to cut their losses (and not invest further money in shooting/ re-shooting additional scenes) and the stars deciding to do likewise too. 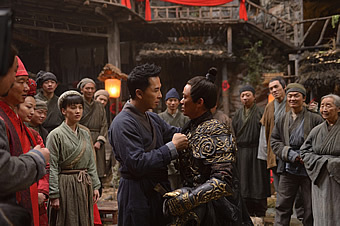 Notwithstanding, that doesn’t excuse the haphazard plotting by veteran Hong Kong screenwriter Manfred Wong, consisting random detours (such as He Ying and May helping two Chinese revolutionaries on board a moving train in 1920s China foil the Tanaka Plan), gratuitous additions (such as a love triangle among He Ying and his past and present day lovers) and downright illogical actions (like Yuanlong allowing He Ying to simply walk away after having set up an ambush for him involving a whole contingent of armed guards). Even from what was filmed, it’s clear the story needed a whole lot more work. 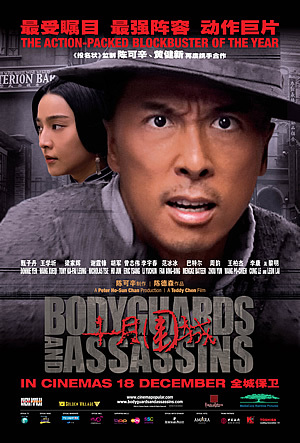 It doesn’t help that director Raymond Yip – to whom this sequel is credited to, even though former director Law Wing Cheong had apparently filmed both parts back to back – rushes from scene to scene as if fearful to dwell too long on any particular event. 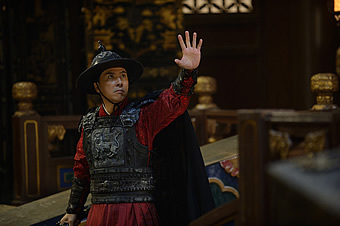 So amidst a flurry of scenes, you’ll just barely be able to follow how Ho Ying returns to his family in Taoyuan village to change the course of history and avert an impending massacre, Yuanlong’s nefarious plans to join forces with the Japanese General Hojo (Yasuaki Kurata) and overthrow the young Ming emperor, and last but not least how Sao is killed by Niehu while trying to stop General Hojo. There’s really no point trying to keep track of what’s going on given how muddled it all is, and especially not when it all culminates in an ambiguous ending that like the opening tries its best to get all philosophical yet again. But to be sure, the fault lies as much with Yen and his co-stars. Yen’s performance is as dull, wooden and aloof as you’ve ever seen him, and it looks like he gave up on the movie even during filming itself. You can tell too from the lacklustre fight scenes, which though poorly choreographed by Yu Kang, are just as sloppily executed by Yen. Yam fares no better, and seems content to wear the same smug from scene to scene. 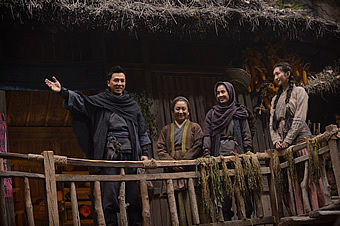 Huang and her fellow female co-star Maggie (who plays He Ying’s previous lover) seem at a lost what to do with their respective characters, while Yu and Wang appear to be sleepwalking through familiar personas they can play with their eyes closed. Like we said, none of the actors look like they invested any effort, commitment or inspiration in the film, therefore dooming the movie long before audiences gave up on it. As much as you might be keen to check out how bad this movie is because you’ve either seen the first movie or read the ongoing spat between Yen and the producers, we’d advise you to simply divert your curiosity someplace else. This is not a case of so-bad-it’s-good, but one of so-so-so-bad, for so many reasons that obviously go beyond the box-office outcome of its 2014 predecessor. It might have sounded like a good idea to have Yen take over one of Yuen Biao’s more memorable roles, but seeing as how the two ‘Iceman’ movies have turned out, we say it was probably one of Yen’s worst career choices ever. Here’s our final word of advice: save yourselves the agony of sitting through 87 minutes of pure tedium, and at least you won’t have your impression of all those involved tainted with the stain of this humiliation.